The Agri-Food and Veterinary Authority (AVA) has called for the general public to provide feedback on the proposed ban on sales of elephant ivory and ivory products in Singapore. The ban will result in local businesses and individuals no longer being able to buy or sell all forms of elephant ivory products in Singapore. Public display of elephant ivory and ivory products will also not be allowed, with the exception of display for educational purposes such as the museums or the zoo. This comes following the continued domestic trade of all forms of elephant ivory products if traders can prove that the items were imported or acquired prior to the international ban in 1990. However, AVA has reported that there have been increasing calls for countries to consider banning domestic trade as well. 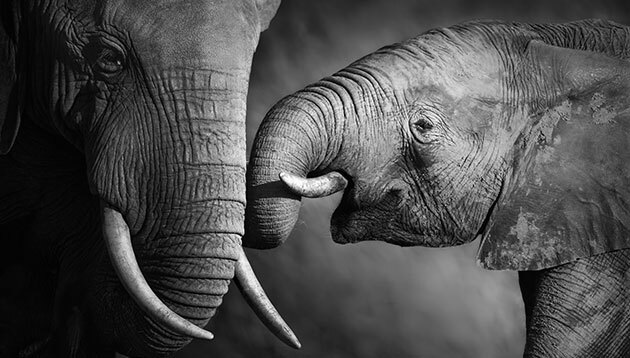 Jurisdictions such as China, Hong Kong, the United States and the United Kingdom have taken action to ban and/or restrict domestic trade in elephant ivory. The loophole in this prior ban saw the recent controversial campaign in Singapore surrounding an online brand called Ivory Lane. With conversations swirling online about ivory use in Singapore, the campaign was later unveiled as a PR campaign by the World Wide Fund for Nature (WWF) to prompt awareness of the global trade in elephant ivory. WWF said in a statement that it set up a fictitious online ivory shop, Ivory Lane, to raise awareness on the fact that elephant ivory claims one African elephant every 25 minutes, but remains legal for sale in Singapore under certain conditions. Meanwhile, in Singapore, the government announced in March 2017 that AVA was studying the implementation details of a domestic ivory ban. The proposed ban is in line with Singapore’s broader commitment to tackle the illegal elephant ivory trade and support elephant conservation. It also looks to sends a signal that Singapore is committed to curb demand for ivory products despite its small and inactive domestic market. Following AVA’s call for feedback, several netizens took to social media to express their views on this matter. Majority of the reactions were of enraged netizens, saying that the ban should not be questioned and have been implemented long ago. Marketing has reached out to AVA for comment.